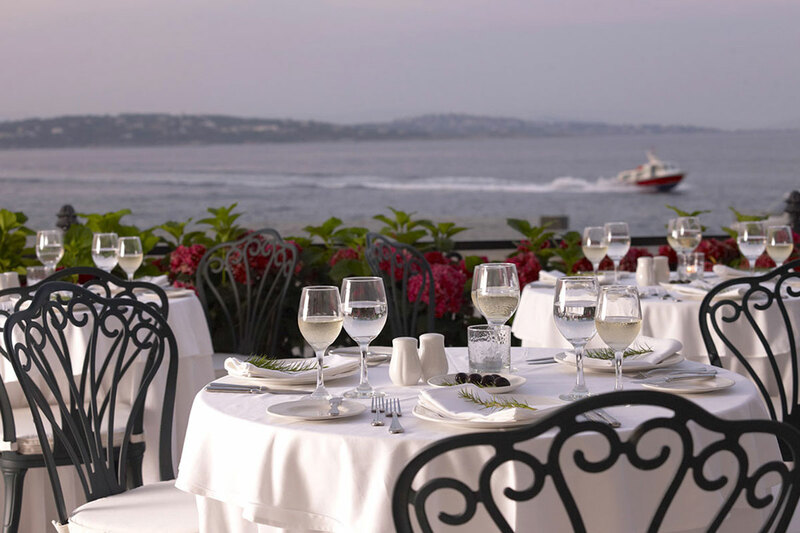 Previously worked in senior Management positions within significant hotels in Greece and abroad such as the Rome Cavalieri Hilton (Rome), The Eze Hermitage (Southern France), the King George Palace (Athens) and the luxury Aqua Blu Boutique Hotel and Spa (Kos). 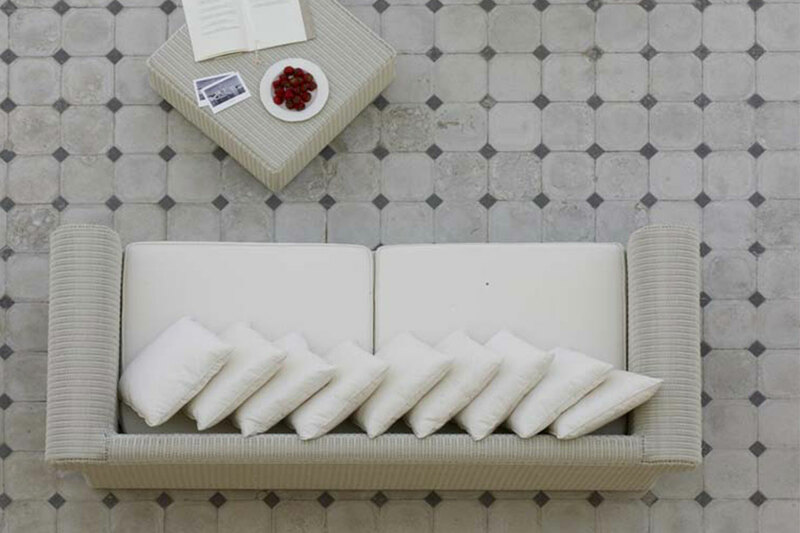  The Poseidonion Grand Hotel, for the moment has seasonal business and remains open between April and October. Our longterm goals is for the hotel to remain open for 12 months and towards this end, we are working constantly in order to improve and increase business in the off season periods. 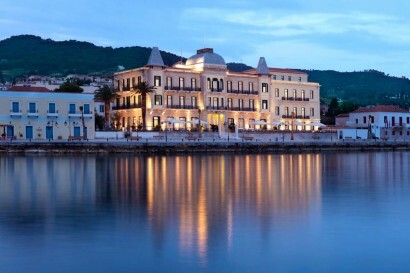 The Poseidonion Grand Hotel has been a landmark on the Spetses skyline for the past 100 years with its exceptional architecture echoing hotels of Côte d’Azur style.The hotel which first opened in 1914 was the brainchild of Sotirios Anargiros, a visionary benefactor who was responsible for much of Spetses’ development. 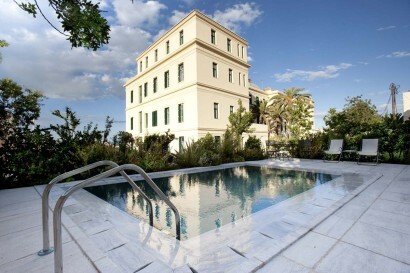 Futhermore it represented the cosmopolitan face of the island and soon became one of its famous landmarks and, what is more, rapidly became a favourite destination for high society, royalty and the wealthy Athenians.Following a meticulous five-year restoration programme which has brought the hotel fully up to date with the finest facilities, fixtures, and fittings while carefully preserving the original architecture of the building, Poseidonion Grand Hotel, fully refurbished, re-opened its doors in the summer of 2009, ready to welcome new visitors. 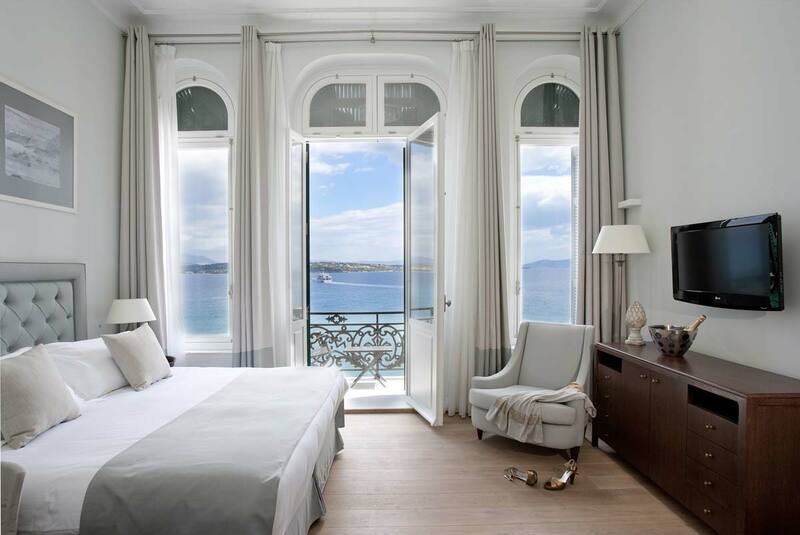 The hotel’s building is now separated in the New and the Historic Wing, including superior and deluxe rooms and suites which have unparalleled views of the Dapia Port area and the Argosaronic Gulf. 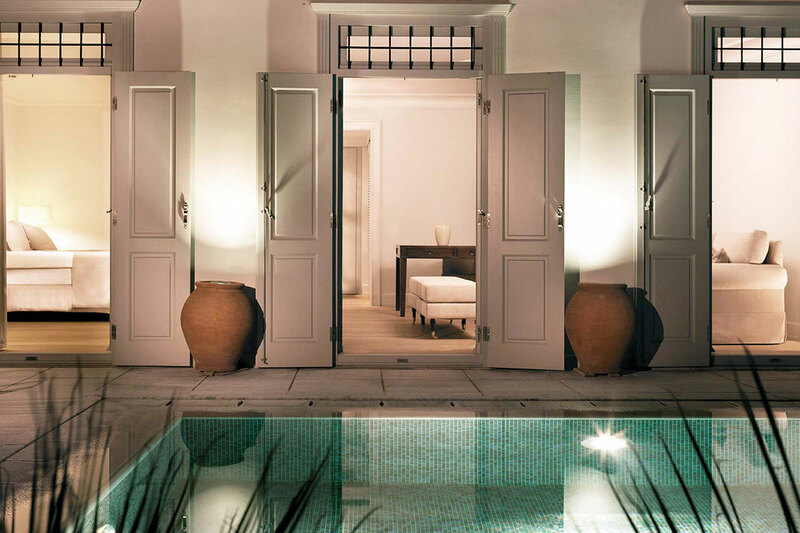 Spetses, where Poseidonion is located, is a car-free island, being approximately 180 km from Athens, in the heart of the Greek Riviera. Together with the close – by region of Porto Heli, the island represents a unique spot of interest for domestic and foreign visitors. 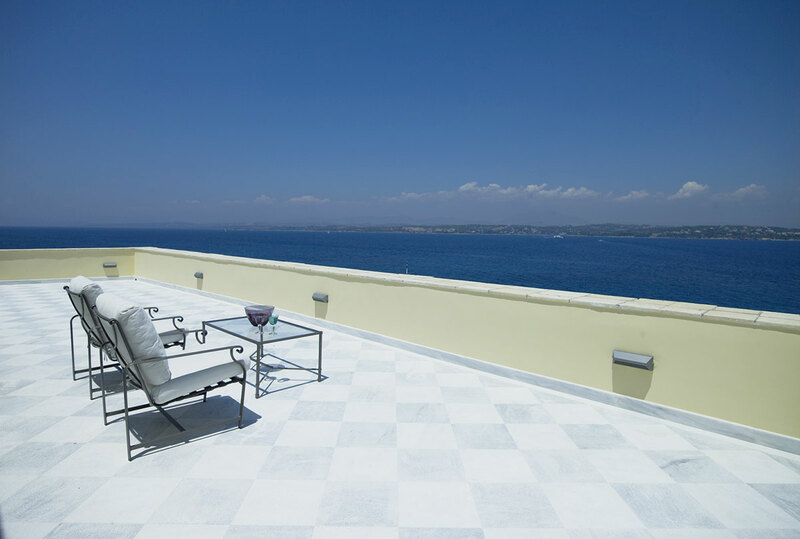 With its rich naval history, the island played a key role in the history of the Greek War of Independence, being the first island which raised the flag of the Revolution. It is characterized by the beauty of the natural landscape full of pine trees, the absence of cars, the horse-carriages, the unique architecture of the Captains Mansions and the traditional shipyards. 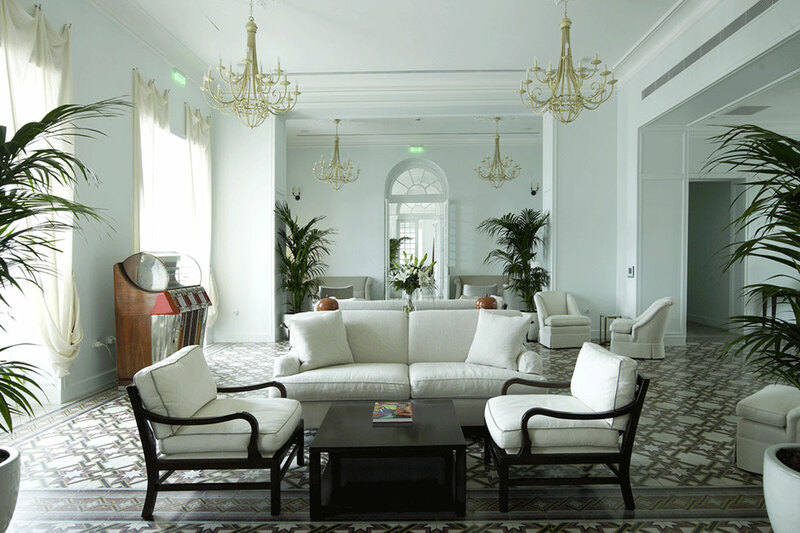 This year, the hotel celebrates 100 years from its foundation through a series of festivities and events. 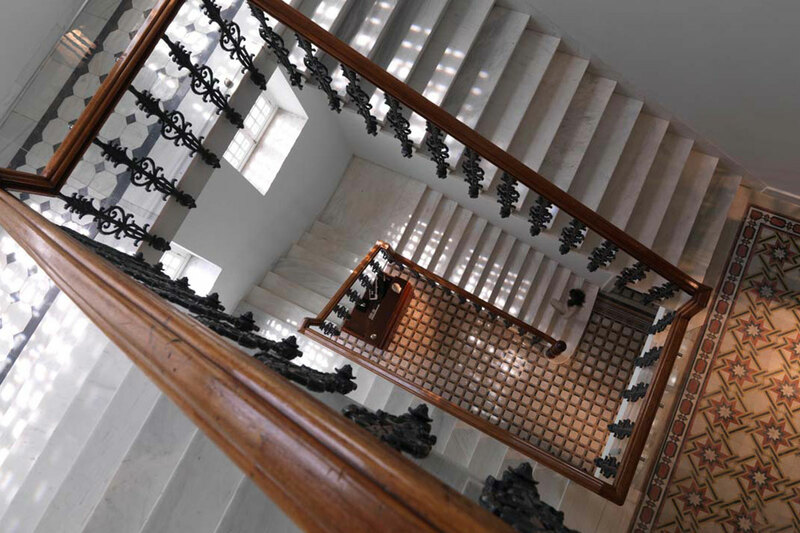 The Poseidonion Grand Hotel was first built in 1914 by renowned architect Panagiotis Zisilas and renewed in 2009 after a meticulous five year restoration programme. In 2009 a new wing was built which now houses … rooms in the style of the island houses and complimentary in architecture to the historic building. 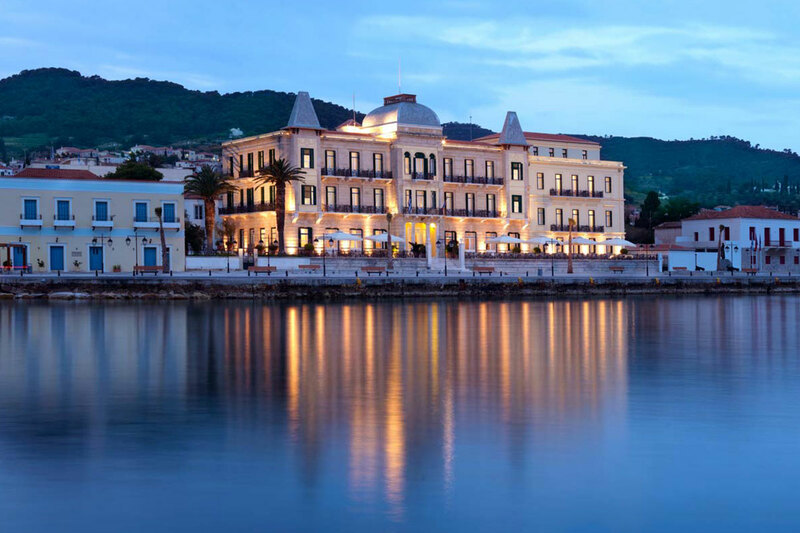 During the last century, Poseidonion, apart from a beacon of Greek hospitality, has been an inseparable part of Spetses holding significant presence at all the island’s major events and initiatives. Today, 5 years after its renaissance which main aim was to save the Historic Building and create a five-star hotel worthy of the needs of modern luxury travellers, Poseidonion continues to support the cultural and economic evolution of Spetses, enlivening the vision of its founder by being the heart of cultural, athletic and entrepreneurial initiatives for the promotion of Spetses and Greece. 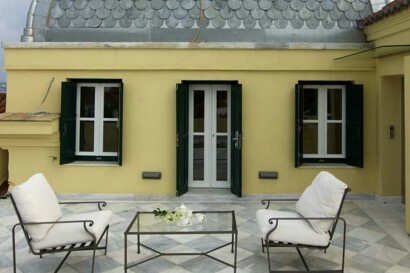 Cocktail bar located on a beautiful verandah of the historic building surrounded by the palm trees. 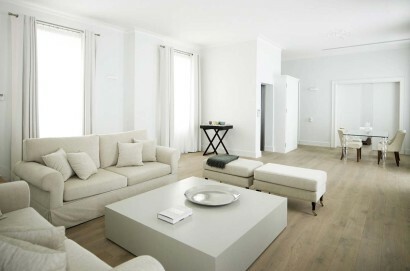 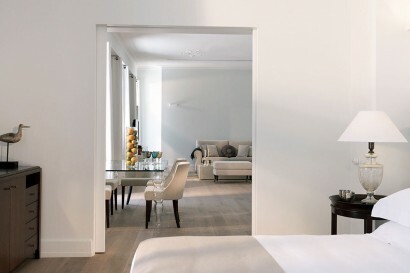 • Luxury Boutique Hotel, Europe 2013 in the World Luxury Hotel Awards.  • Best International Hotel Marketing award, Best Hotel Marketing Europe, and Best Hotel Marketing Greece in the 2013 International Hotel Awards. 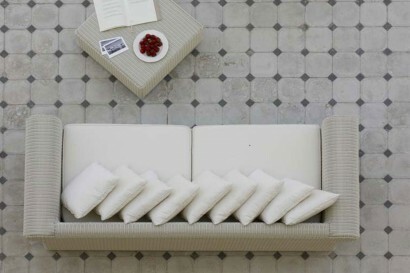 • Best small hotel Greece & Best hotel in 2012, Boutique Hot.